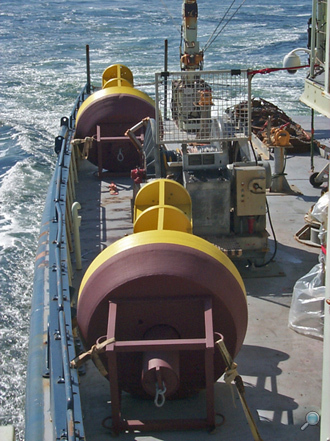 Mooring Systems was founded in the 1980's as a commercial business to provide oceanographic scientists and engineers with mooring design services, and supply of ocean moorings and instrumentation deployment platforms. 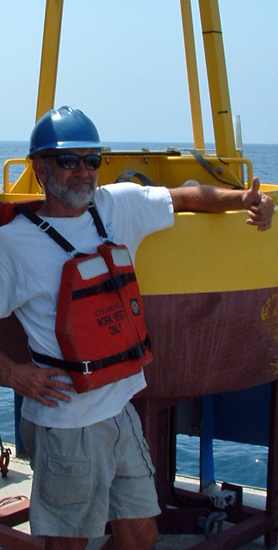 Mooring Systems employs staff with a strong academic background in ocean engineering from years of employment at the Woods Hole Oceanographic Institute's mooring design group, and multiple ocean instrumentation and marine equipment manufacturers. Our extensive experience in the analysis of moored systems along with our computer modeling tools provide the necessary components for designing moorings and instrumentation platforms that survive difficult environmental conditions. Above: James Cappellini of Mooring Systems, Inc. 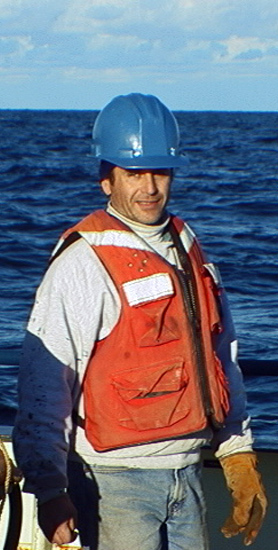 Above: Peter Clay, Founder of Mooring Systems, Inc.
Our materials science knowledge also allows us to select materials and use special fabrication techniques that result in mooring configurations that successfully resist fatigue, corrosion, and pelagic predators. Considerations for deployment and recovery at sea come from our extensive "hands-on" technical field experience. Mooring Systems also manufactures sediment sampling devices including; gravity and piston corers, and inventories replacement parts for the original Benthos coring products. Above Left: James Cappellini of Mooring Systems, Inc. 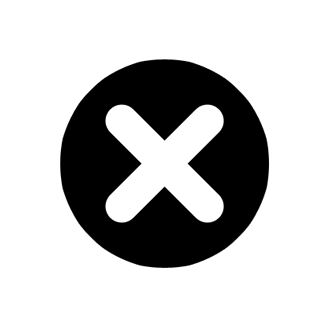 Above Right: Peter Clay, Founder of Mooring Systems, Inc.